Second round same day half price. 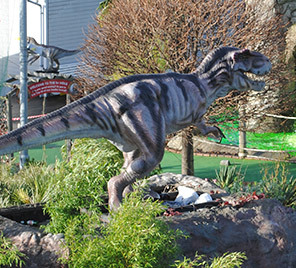 Party Prehistoric style with our near life-size dinosaurs whilst playing 18 amazing holes of adventure golf. 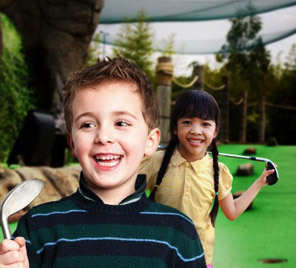 Includes the use of our brand new Party Room! 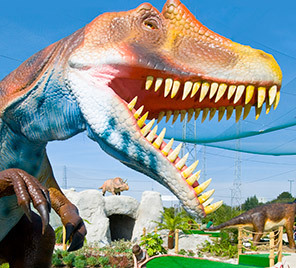 Putt past cascading waterfalls, over island greens, through prehistoric caves and even meet some Jurassic friends from the past! 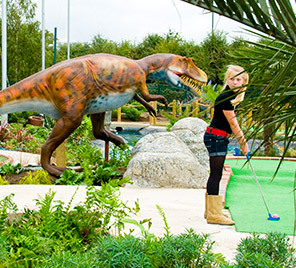 18-hole Adventure Golf in London.